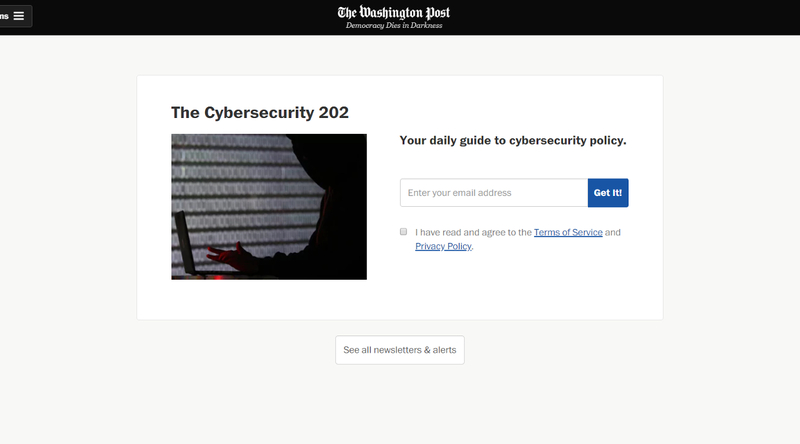 The Cybersecurity 202 is a must-read tipsheet on cybersecurity policy and news, authored by Derek Hawkins. Expect smart analysis on the intersection of cybersecurity and politics, as well as scoops and updates on the latest debates. You'll also get insights (and behind-the-scenes details) from cybersecurity leaders across government, business and academia.